Pick your own apples, pears and plums. Grow your very own Mini Orchard from your own back doorstep! 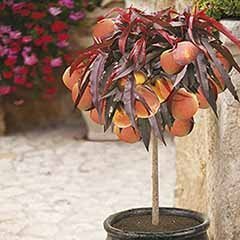 Collection includes 3 top quality, self-fertile, compact fruit trees so you can grow fruit even in smaller gardens or on the patio. 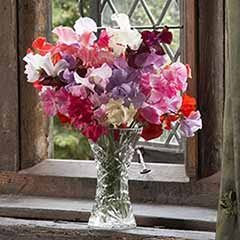 Although compact, they're heavy cropping, with fruits produced from July through to October. 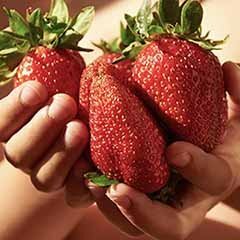 You may even pick your first juicy fresh fruit in the first year with an increase in crop year on year saving you money on expensive supermarket prices. 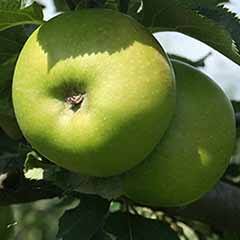 You get 1 each of Apple 'Braeburn', Pear 'Conference' and Plum 'Victoria' as 1.2M bare-root trees, to plant out while dormant. Club Price: £22.47 - Save: £2.50 Join Today! Scrumptious! You Can Now Pick Abundant Crops Of Delicious Plums, Apples & Pears From Your Own Mini-Orchard Fruit Tree Collection! 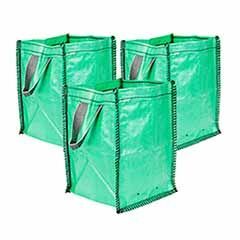 These top-quality, 'Professional Standard' fruit trees mean YOU can now grow full-sized crops in your garden or even in pots on your patio! What's more, you can expect to be picking your first juicy fresh fruit in the first year! 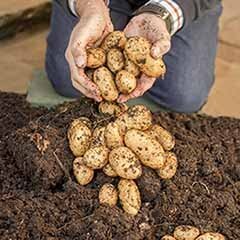 The crop will increase year on year, eventually giving you hundreds of pounds of produce per season and costing literally pennies per lb over their long life of over 50 years! They are 'self fertile' and grown on 'dwarfing' rootstocks so they so will pollinate themselves and always be compact. 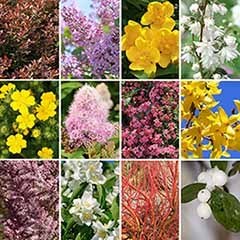 The beautiful, fragrant blossom in spring will precede the fruits, with 'Victoria' cropping from July, 'Conference' in September and 'Braeburn' in October. Delicious fresh from the tree, they also make perfect jams and preserves or can be stored for later use - 'Conference' and 'Braeburn' will even keep until Christmas! 'Braeburn' is the UK's most popular eating apple variety by far and it will easily grow and flourish superbly in your garden! The crisp and juicy white-fleshed fruits have what is considered by most to be the perfect sweet/tangy flavour balance, literally providing a flavour explosion with every mouthful! 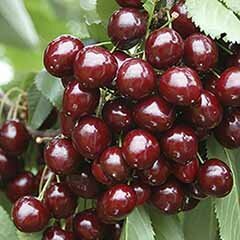 The gorgeous fruit will be ready to pick fresh from your tree by mid-October each season and will store well until the end of January if kept chilled but frost free. 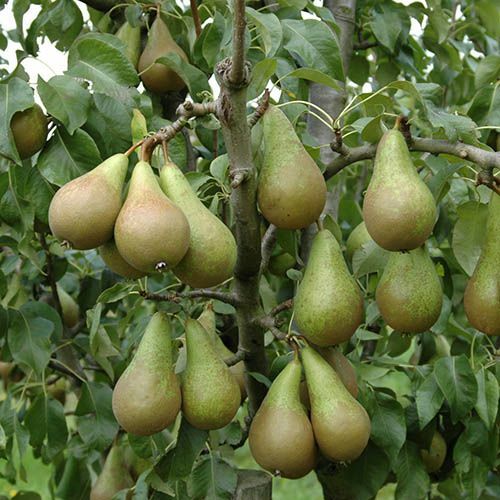 'Conference' Pear produces a large crop of fruits with clear white flesh that are ready to pick each September. The long, tapering fruits are packed with an irresistible sweetness and lip-smacking juice that will drip from your chin when you bite in to a ripe one! Because of its outstanding flavour, it remains the most popular pear grown in Britain by a long measure both in commercial orchards and home gardens. 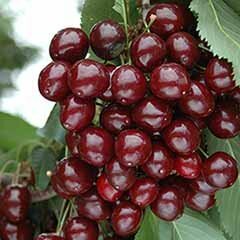 It is perfect for you to grow because it is very heavy cropping and when picked unripe, it is great for keeping for 2 or more months. 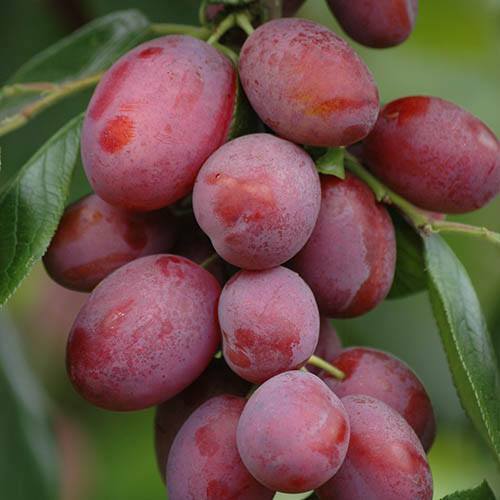 Named in honour of the much-loved Queen, 'Victoria' Plum is the UK's favourite plum variety by a mile and deservedly so! 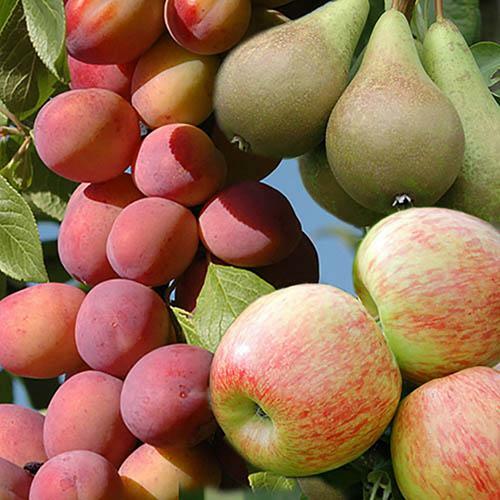 The delicious fruits are ready to pick each July and taste simply mouth-watering when eaten straight from the tree. With the remaining fruit you can make jams and preserves and of course, eat them stewed with custard! 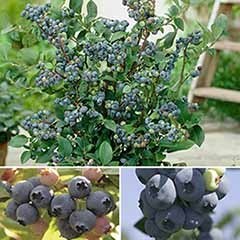 Known for its sublime flavour and productivity - a fully established tree of this 'self-fertile' variety will produce up to 100lbs of fruit in a bumper season! Fruits are ready to pick each July. A fully established tree will produce up to 100lbs of fruit in a bumper season! 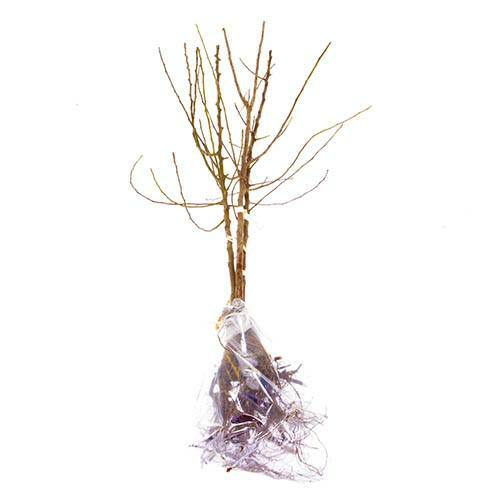 Supplied as 1.2m tall, grower quality, multi-branched 'bare root' trees. 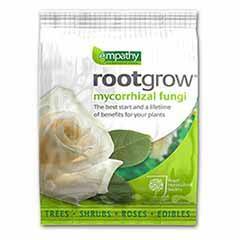 Grown on semi-dwarfing professional rootstocks which are not widely available commercially. 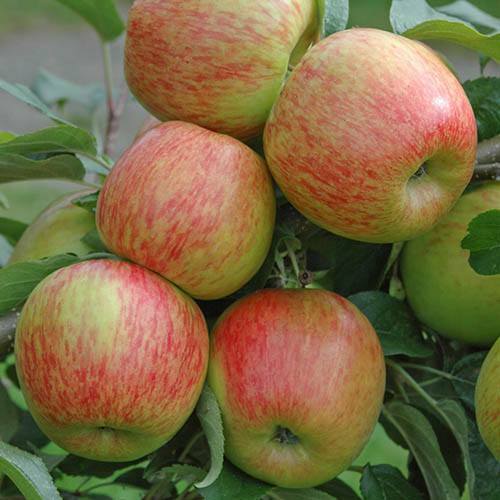 Braeburn's rootstock is similar to 'M26', Conference's to 'Quince C' and Victoria's to 'Pixie'. Get trees established well in first year for earlier and bigger crops in future. Once established, apples and pears need very little care. 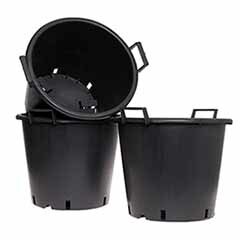 Water during dry spells especially if newly planted or in containers. 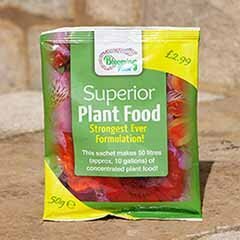 In early spring, sprinkle a general fertiliser around the base of the tree. Apples & pears should be pruned every year. Timing and method of pruning depends on the type of fruit you are growing, and the style of tree. Plums trees will additionally need to have fruit thinned to ease congestion and weight on the branches. 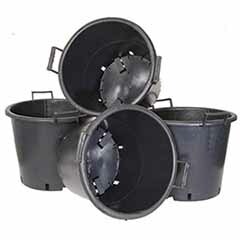 Your crop of plums can be greatly increased by regular feeding and watering. Because they can set heavy crops, plums respond well to fertilisers, especially nitrogen. 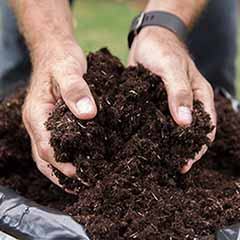 Established trees can be mulched in mid-spring to help retain soil moisture, suppress weeds, and provide nitrogen. Pruning should be carried out in spring or summer - avoid pruning in the dormant season or in mid to late autumn, as there is risk of infection from silver leaf disease and bacterial canker. Great service, Items very well packed. Very fast delivery. Strong & unbroken. All ready to go. Thank you for your feedback. I'm sorry to see it's only three stars - if you have any problems which need resolving please don't hesitate to let us know. 100% good service,what they say you get is what you get,well pleased with this company. The order calculated the postage costs which was all paid for when order confirmed. My daughters birthday came and went before i was emailed that they couldnt deliver. I then waited for the refund. This should not happen. it should be clear at ordering if undeliverable and not ruined my daughters birthday. Took a long time to process the order, but the trees arrived well wrapped and in good condition, unfortunately the clematis were less so. For the price, the trees were a good bargain, however I would have liked all the clematis to be in the same, good condition when they arrived, regardless of their low price. The trees are about 1 metre tall, with decent roots on arrival. The plum is definitely the strongest with a good shape and many buds, the other two are smaller with less branches but I'm hoping they will grow and fill out with time. It's still too soon to tell really! I'm pleased to hear that you are happy with your trees - the clematises will have arrived in a dormant state, and should be starting to thrive over the coming weeks. 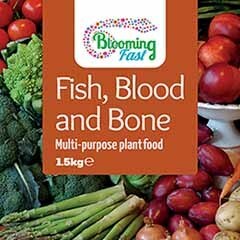 The plants are excellent value for money, they arrive on time and I can track the delivery so I know when they are coming. This is my first year getting any plants so it is too early just yet to comment on how well they will grow.. The fruit trees looked in good condition when they arrived I have planted them and await results. Trees arrived in good condition and clear instruction enclosed we hope that they take. Ordered goods in Sept told they would mid Oct did not arrive after phone to Garden Bargains was informed I should not have been told that 4 weeks later and another phone calll, I was informed nothing was being done about my order as it included a peach tree, and my order would be with me Feb or March 2018 as I had not been consulted about any of this I said cancel the peach and I would take another apple tree so that my order would be sent out, all sorted, no they sent 1 apple 1 pear 1 plum and a note that informed me my peach would sent next year. Plants were delivered when they said and we're in good condictionary, we followed the clear instructions providea. So far so good. Will be able to judgenjoy more accurately next year. Very pleased lovely plants and more. first class service, goods arrived as stated. I bought 3 fruit trees, thay arrived in good condition and well packted. 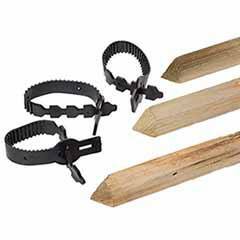 Great product will definitely use this company again.